We wanted to share with you some insight into what a day in the life looks like for our year-round iD family. Culture. Authentic. Mentorship. Purpose Driven. Empowered. Resilient. Service. In case you didn’t know, these are the core values of iD Tech. Every day, we make sure to remember why we are here. From our IT department to our Client Services team members, when we walk into the Main Office at iD Tech, we are constantly reminded of these things. As you can see, our mission is on the wall in the lobby as soon as you walk in. And that bright orange wall? That’s to make sure our core values stand out, as they should. You can’t go grab coffee, go to the mailroom, or leave the office without walking past these statements. Cool right? 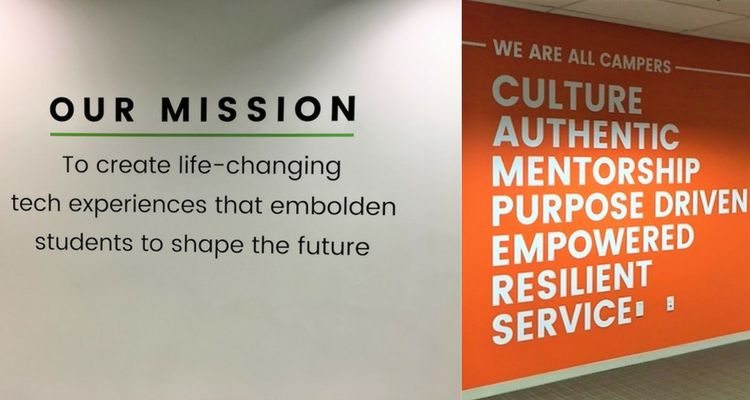 But any company can put their mission and core values on their walls and call it a day. It takes a purpose-driven company to live out those words every day. For iD Tech, it is incredibly important to us to not only have an impact on the education industry as in our mission, but also to provide service on a community level. We have a passion and an uncanny desire for delivering positively outrageous service; in fact, each month, iD Tech designates time to go volunteer during work hours. 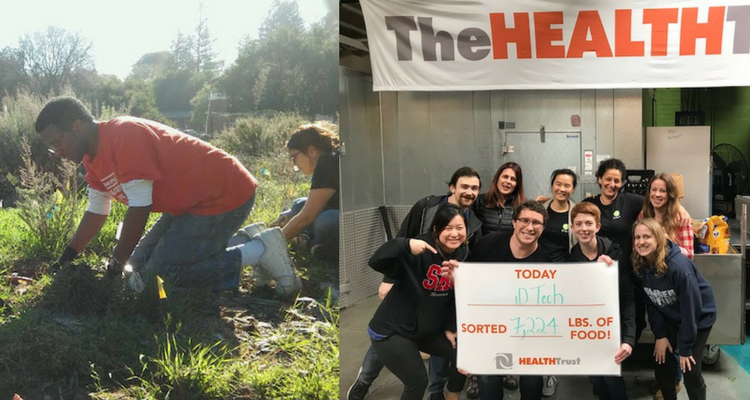 These pictures are from the great organizations we have had the honor of being a part of this year so far: The Health Trust, Grassroots Ecology, and Operation Gratitude. Our Culture Club works hard at not only coming up with new ideas each month for volunteering, but they also meet once a month to go over events to do in the office. For example, last month they brought winter to iD. 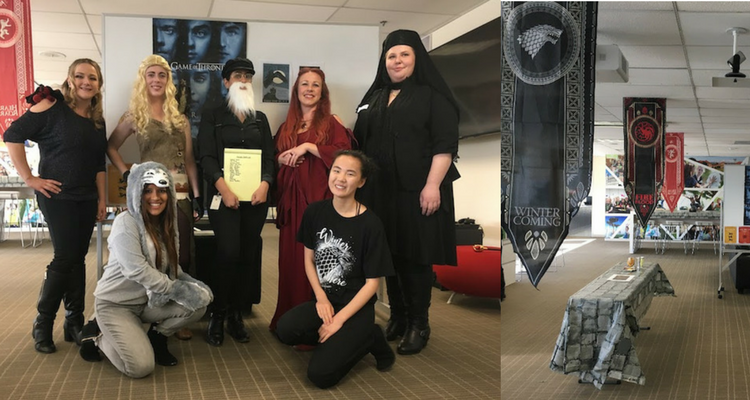 No, there was no snow involved, but you could see flurries of Tyrells, Lannisters and Targaryens running around the office that day! We believe that our people are our most valuable asset. We understand they are authentic and have their own goals and aspirations. We want to empower them by providing them with not only a fun work environment that promotes growth and learning, but also with the work-life balance they deserve. Speaking of being empowered, did you know that we were founded by a mom and daughter duo? Kathryn and Alexa started iD Tech to empower children by giving them the opportunity to learn tech, in an inspiring college environment. As a company founded by women, we have remained resilient in our actions in hopes to raise the 24% of STEM women workers to 50%, and starting with the young generation is just the way to do that. On March 14th, aka Pi Day, rather than just eating a bunch of pie (which we definitely did) we decided to turn that day into something much more. Traditionally out at camp, we pie our staff. To bring that camper spirit into our office and take part of a longstanding camp tradition, we did pie people, but with an added twist. We started a movement along with the Society of Women Engineers (SWE) to support more girls heading into STEM. 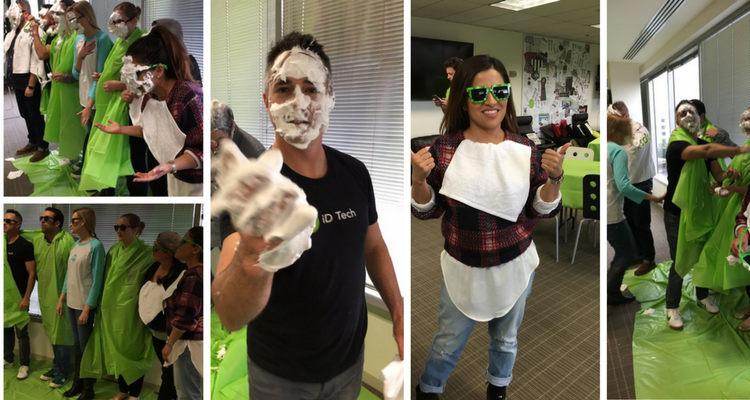 Instead of just pie in the face, our CEO along with iD Tech leaders nominated people like Bill Gates, Oprah, and Dwayne (The Rock) Johnson to also participate for all the girls and women out there. To learn more about the #pichallenge and how you can participate, click here. Lastly, iD Tech was built on mentorship. We love to see our employees grow in their own professional development and challenge themselves. In fact, we have many employees who have been with us for years, and not in the same position, or even same department! For example, we have had people go from Client Services to being a valued member of our engineering team. How awesome is that? We value every employee here and we want to put them on display every chance we get. 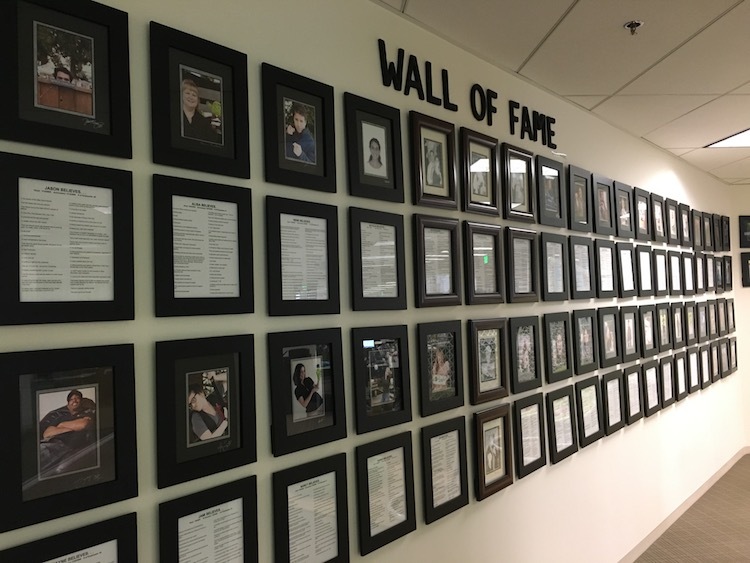 For example, we have a wall dedicated to all employees who have been with the company for 3 or more years. We call it the Wall of Fame, and as you can see we are running out of room! To tie it all together, we truly are all campers, instructors, and students just trying to do the best we can for the next generation of tech rockstars while also having some fun along the way! Do our core values stand out to you? Check out our current openings!